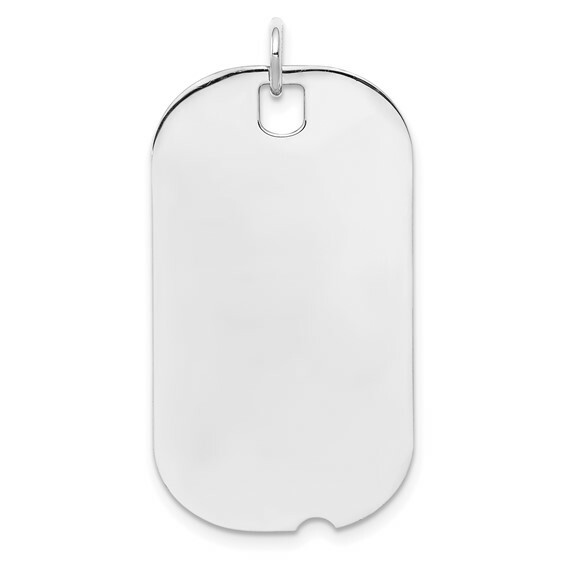 Engravable dog tag is made of sterling silver. Weight: 5.44 grams. Dimensions: 1 1/4in x 11/16in. Thickness: .035in. Made in USA.